There can&apos;t be many who are interested in local food, self-sufficiency or sustainability in general around the UK (and even abroad) who have not by now heard about the small but inspirational Pennine town of Todmorden (aka &apos;Tod&apos;), with its Incredible Edible veg growing right in the middle of town, alongside roads, in hanging baskets, in planters, roundabouts, car parks, schools - even the police, fire and railway stations - in fact anywhere plants will grow, where people can help themselves to fresh produce and, if they want, get involved in growing it. They may also know that under the guidance of Pam Warhurst (formerly Forestry Commission chair), Mary Clear and the aptly-named Nick Green, IET has developed into a significant force - promoting community poultry, bee and fish farming, ecological market gardening, orchards, cookery, teaching, job creation, sustainable land management, green property development, green tourism and more in Tod. 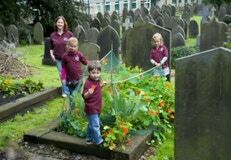 This may of course be because they are part of one of the dozens of Incredible Edible towns that have since sprung up across the country, and even the world, inspired and helped by the IET toolkit. But they may not yet know that IET are now planning to develop their brilliant idea, in collaboration with green groups and key thinkers around the UK - especially the RSA, of which Pam is now the Yorkshire chair - into an approach that could bring Incredible Edibility to larger cities, and even whole regions. Leeds is ideally placed to play a major role in this. Historically it&apos;s one of the greenest urban areas in the country, with a high percentage of parks and green space, one of the oldest and best urban farms (in Meanwood), a healthy allotment scene, more than 150 schools who garden or even farm, two universities each with active urban agricultural research, growing and design projects, and a plethora of community food and other sustainability-related schemes across the city. (See here for a full list). Leeds City Council helped to establish Feed Leeds in 2012 - an independent initiative involving many (or even most) of the above and various council departments, especially Parks and Countryside, to help promote and support local food consumption and growing in Leeds (including within community parks) for its economic, environmental and health benefits. 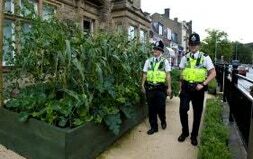 And one of their first projects is an edible beds competition for the plots right outside the Civic Hall. So it&apos;s not surprising that when Pam and Mary started looking for a city to help pioneer their new scaled-up version of Tod, they came to Leeds. It&apos;s always a good idea to begin with organisations who have land, expertise, volunteers, access to funding and an ability to learn and share lessons from the project - so the two Leeds Unis, who have recently established a joint ecological sustainability research group called TRUG, were an obvious starting point. Pam was already an Honorary Fellow of Leeds Beckett, and its Leeds Sustainability Institute, so knew about the landscape department&apos;s resource centre at Beckett Park and key role in Back to Front - a visionary local scheme which is winning awards over in Harehills. 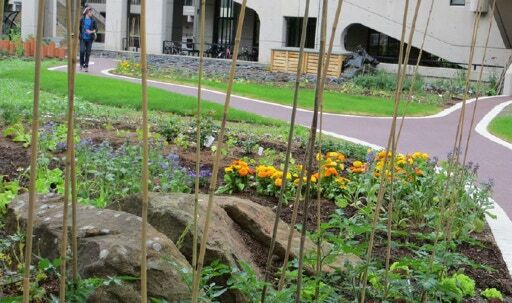 And Leeds Uni also had a student-run veg nursery at Bardon Grange, an ecological garden which won a gold medal at Chelsea, and the Urban Food Justice workshops which are currently engaging with growing groups across the city. And everyone was a Feed Leeds Connection (Feed Leeds is now co-manager of the LEC). It soon emerged that there was already a lot happening in this patch, and so the plan fell into place: To connect with and where possible to enhance all the existing projects in the area - and then to install more fruit, veg and wild plants where feasible to create an Edible Campus corridor along Woodhouse Lane, which would encourage and inspire food growers, and even provide some pick-as-you-please produce for the local population (though naturally some plots, such as allotments, would remain secure for private harvesting). A seminar event on March 20th explored the possibilities. 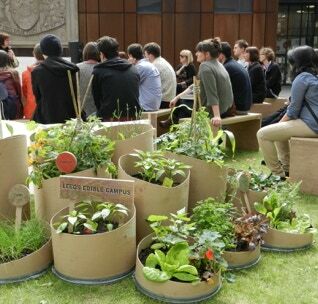 It featured inspirational presentations from Pam, Sheffield Uni&apos;s urban food expert Jill Edmondson, UoL ecologist and consultant on the Chelsea Garden Professor Les Firbank, and Leeds Beckett landscape lecturer (and design tutor for the innovative Back to Front food project) Emma Oldroyd. After walks round the site and delegate workshops, Leeds Beckett Planning students shared the findings of their typographical research, and then a QandA with the core Tod team of Mary Clear, Mel Coleman and Jenny Colman established some useful do&apos;s and don&apos;ts. 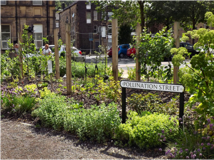 Now a wide range of university departments, local community groups and council members and officers are on board - and the Leeds Edible Campus team are working to feed the many great ideas which are now emerging into this and similar projects elsewhere in Leeds.